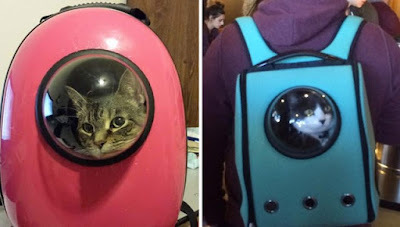 The most coolest genius cat backpack ever !!! You must need one !The cat-pack has a porthole for your cat to peek out of, so they can enjoy the view (or just look completely baffled and alarmed, like this cat). We’ve all tried forcing our little fur kids into a backpack (er… probably) in the hope that our furry friend will come along on a fun adventure in the outside world. Now you can make that a reality with U-Pet’s super snazzy, pet-carrying backpacks.The cat carriers each come with a bubble window for your cat or small dog to look out from, while being transported by their human. 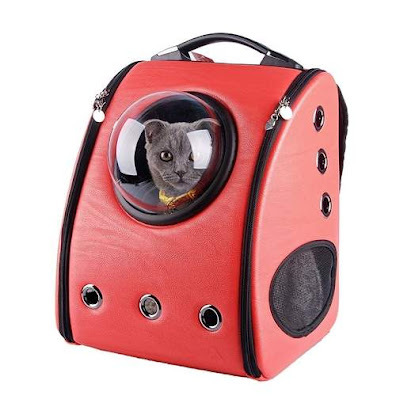 These allow them to enjoy the scenery outside, while being safe in their carriers.Now your indoor cat can boldly go where he wasn't allowed before. 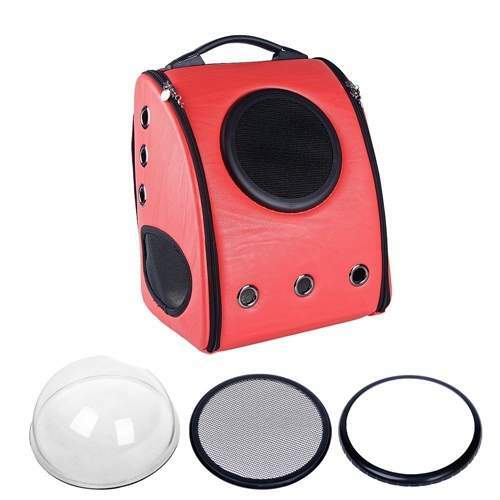 These cat packs from u-pet.co are a clever way to take your cat out. They have portholes for your cat to peek out of, so they can enjoy the view (or just look completely baffled and alarmed, like this cat). They can be used as a back pack or a separate pack and would make a great Christmas gift for a special person with a special cat! The bags come with soft cushions and breather holes for your pet’s comfort, and is built with non-toxic, washable materials. There are also cross-body satchel and duffle bag versions, and you can replace the bubble window with a mesh or remove it entirely for small dogs. Your furry companion will look like an astronaut in these adorable backpacks by U-Pet. 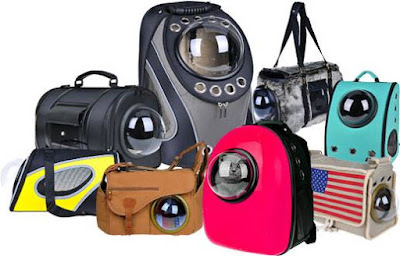 They come in all kinds of shapes and sizes, so big cats and small dogs alike can look like an astronaut while you lug them about on your shoulders. "Give your pets a window to the world," the company writes online. "They also want to enjoy the scenery and interact with the outside world."